This is a collection of some, at least in my ears, great sounding tracks in which I had the honour and the pleasure to play along. A big hug to everyone involved! Special thanks to all participients of "josepssv waterval"
And, last not least, special thanks to all participients of "ericbloms waterval III"
Hard to categorize...easy to listen too...the dreamy oddness is compelling...and I have to say, I feel slightly overwhelmed but honoured to be a part of this creation...thank you Will. It is an honour to have played a small part on some of the songs on this Album!! Will_C is very talented. 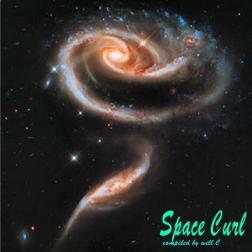 Really enjoyed this ode to ambient music ---Great job to all on this album----will_C also, Great Work! I'm with that background music suggesting and out of styles.